If you're looking for an easy way to get extra veggies into your kids or significant other, this is definitely the meal to make. We start with a spinach filled tomato sauce then sauté up garlic, onion & zucchini to add to our part skim creamy ricotta cheese filling. We use whole wheat lasagna noodles for extra protein and fiber then top this with a generous amount of part skim mozzarella cheese for a bubbly crust! And at ONLY 312 calories per serving, could it get any better? Now this recipe serves 8 which is perfect for big family dinners, but we recommend making the whole dish even if you're just cooking for two! One of our favorite skinny secrets is to make extra easy dinners to freeze for a skinny supper another night. And doesn't it taste better knowing that next time you just defrost, reheat and enjoy? Here's to hoping Spring is back soon, enjoy! 1. Add crushed tomatoes, water and spinach to medium pot and bring to a simmer. 2. Add oregano, garlic powder, onion powder and Parmesan cheese to sauce. Stir to combine and cook at least 30 minutes. 3. Heat olive oil to medium heat in a sauté pan. 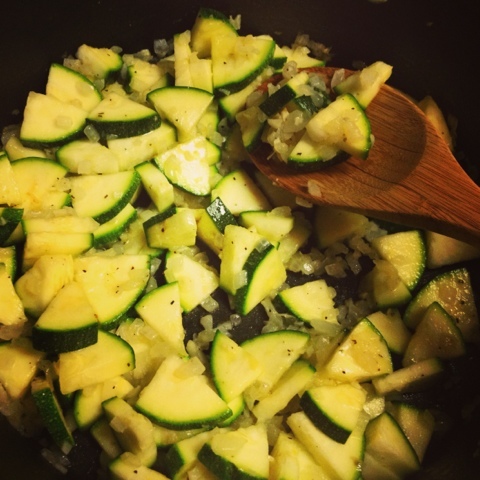 Chop garlic, onion and zucchini and add to pan. Sauté for 5 minutes until softened. 4. Add vegetables to ricotta cheese and stir to combine. 5. Cook noodles according to packed directions. 6. In 9x13 pan, add one ladle of sauce to bottom. Add one layer on noddles then half your ricotta cheese mixture. Add two ladles of sauce, noodles, remaining cheese and additional sauce. 7. Top with last layer of noodles and remaining sauce. Finish with mozzarella cheese. Stop by whenever you like and share some love! Thanks girls for sharing this one since I don't eat beef anymore, but I miss eating lasagna so much. :) This is great option, i will try this one. Thank you for stopping by Deezy Does It! Thanks for stopping by my blog! This recipe look delicious. 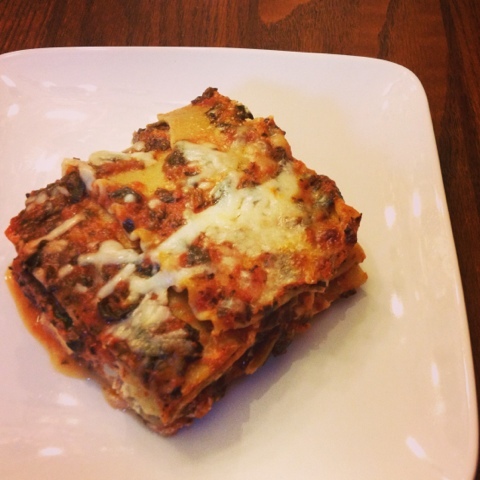 I remember having veggie lasagna at a restaurant a while ago and it was much better than meat lasagna surprisingly! Great recipe. Love getting more veggies in at dinner time and I love your blog title! Found your blog on the Weekly "Pimp-Out/Showcase" Hop! And omygosh, this first post looks AMAZING! 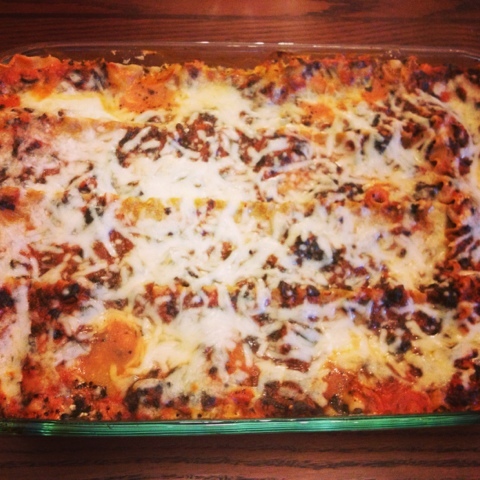 You're making me want to hop up and make my own Vegetable Lasagna right now! I am definitely looking forward to reading more of your posts and trying out this delicious recipe! Wow! That looks amazing!! Love Italian! Found you guys through the link-up! Loved your name and had to stop by! So glad I did! Can't wait to try some of these recipes! New follower btw :) Happy Monday! Yum! 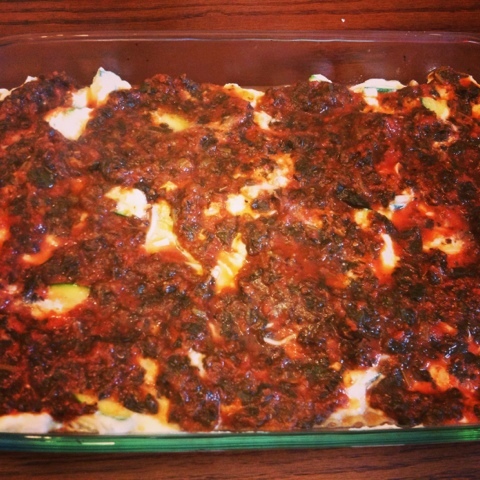 I love a good veggie lasagna!! Thanks for sharing! DESIGN + BRANDING BY : HELLO BIG IDEA . All Rights Reserved.